Some models of LG dishwashers may display a P1 or P2 “error code” (as well as P3 and P4). In fact, these are not LG dishwasher error codes. They are fast built-in dishwashing cycles. They match the control panel symbols of the LG dishwasher, namely: a quick cycle, a delicate cycle etc. It is designed for heavily soiled kitchenware. As a rule, these are pans, rarely pots and other utensils that are very greasy and hard to clean manually. If you place such dishes together with plates and glasses, the normal washing cycle will fail to clean the pan and other items sometimes. It is usually the most universal default cycle. The P2 code. In principle, it is similar to the above cycle, but it is a little more delicate. Pots and other slightly dirty items can go here as well. A greasy (burnt) pan or pot will not come completely clean after this cycle. The P3 code. This is a cycle for glassware. LG dishwasher will wash your glass utensils safely and delicately and keep them shiny. The P4 сode. That’s the quick selection of the night dishwashing cycle. Your dishes will be washed quietly and dried overnight. 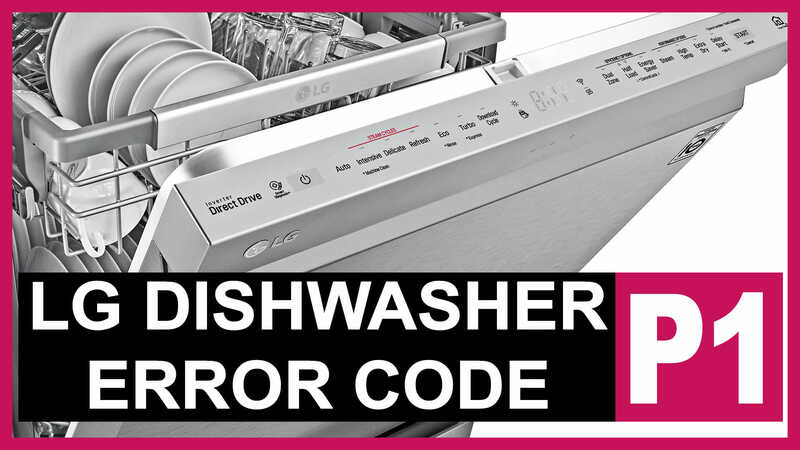 Read the manual to your device for more information on the LG dishwasher P1 error code.